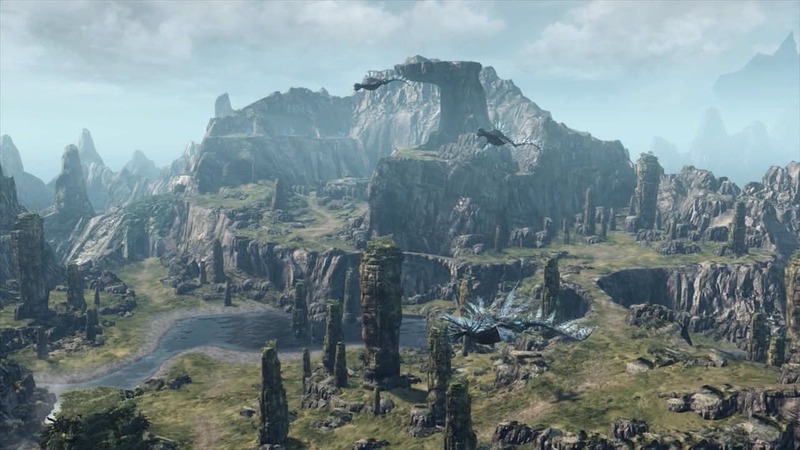 Xenoblade Chronicles X headlines this week’s Nintendo eShop update for North America, Monolith Soft’s expansive open world JRPG challenging players to survive on a hostile alien world. Wii U’s Virtual Console service adds Trauma Team, while Kung Fu Panda: Showdown of Legendary Legends sees release across both the console and Nintendo 3DS. Elsewhere, Dementium Remastered and Pokémon Picross hit the handheld, with new 3DS HOME Menu themes and a new DSiWare title from Joindots. Carefully review patient cases and decide on the best course for treatment as you assume the role of six different medical professionals. With steady hands on the Wii Remote and Nunchuk controllers, make quick decisions to keep your patient’s vitals stable. It is an age of Kung Fu heroes, warriors, and best of all, LEGENDARY LEGENDS! Face-off alongside or against Po, Tigress, Monkey, Tai Lung, Master Shifu, and all of your favorite Kung Fu Panda characters in the Showdown of Legendary Legends. Up to four players clash in iconic locations throughout the Valley of Peace and beyond. Compete in an epic Tournament where all Kung Fu warriors contend for honor and glory. Who will reign on top as the mightiest warrior in the land? Earth has fallen. Yet mankind endures, taking to the stars and crash-landing on an alien world in a desperate attempt to escape. Defend the survivors using high-tech weaponry on a mission to rebuild humanity. Suit up in heavily armed mechs to tame the wilds of planet Mira and beat back the hostile forces threatening to obliterate the human race. Join in the adventures of the pirate clan. Sail the seas in search of islands and forts with treasures. It is a world of fantasy where you will find unusual things like piggy boats, rare sea monsters and all types of strange objects. Keep both treasures and enemies in sight with 360º navigation; a simple, yet very effective system. Another ability of your fantastic pirate ship is that it jumps and dives, which is very necessary to dodge or jump over obstacles and move forward in the adventure. Rebuilt from the ground up to take advantage of the Nintendo 3DS system, Dementium Remastered takes the guts of Renegade Kid’s award-winning game and delivers a new and improved atmospheric first-person survival horror experience with enhanced graphics, refined game play, high-quality audio and immersive control options. Pokémon Picross is a puzzle game in which you reveal a hidden Pokémon illustration. Once you solve an illustration of a Pokémon, you can collect that Pokémon. Collected Pokémon help you solve more difficult puzzles. With more than 300 standard Pokémon puzzles, a significantly harder advanced mode and Daily Training, this game will supply hours of enjoyment. Friday, August 13th, 1886, very early in the morning. The lanes of Soho are depraved and the air is heavy like the minds of the people. No one can foretell what terrifying things happened during the night. The murder of a wealthy citizen with an irreproachable reputation raises a lot of riddles. Was he really murdered here – in Soho? And, why did he have to die? You ask a good friend and forensic doctor for help. Only he is able to provide the answers you need to solve the case. Hopefully, Dr. Jekyll is really useful for your investigations.